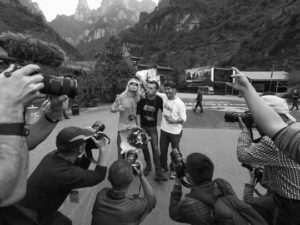 Sergey Nilov and Dmitry Golovchenko on Jannu. 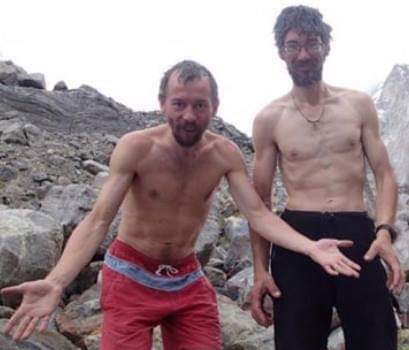 For the past six days, fans of Himalayan mountaineering have held their breath as Sergey Nilov and Dimitry Golovchenko slowly made their way down the treacherous Southwestern side of 7,710m Mount Jannu. Although winds were low, poor visibility up high made route finding difficult. 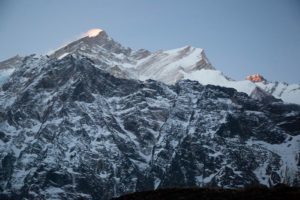 They had to rely on their Base Camp team, who could study the lower part of their descent route, where visibility was better, and advise the climbers by radio how best to find their way down the unknown terrain. Today, the Russian pair have finally met up with a member of their support team, Elisa Kubarska, on a glacier at around 5,000m. 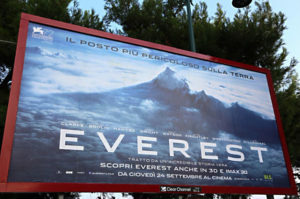 After 18 days at high altitude on the mountain, they are no doubt relieved to tuck into fresh food and ample water. 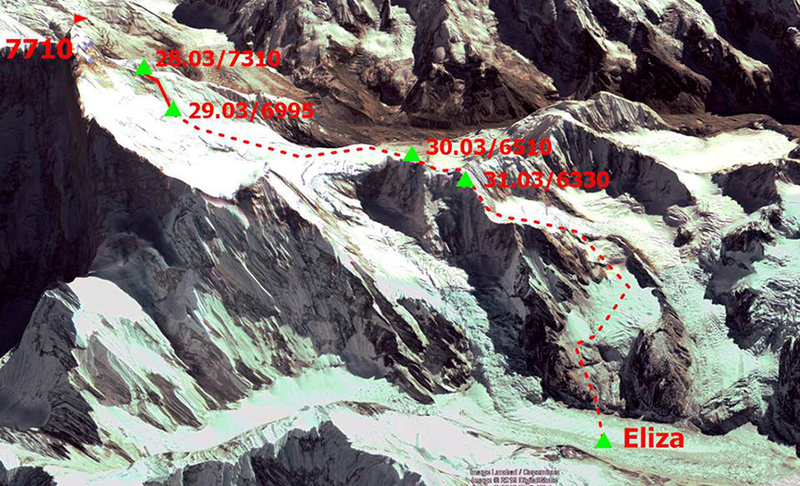 The trio will now descend the Jeunes and Yamatari Glaciers to the village of Ghunsa, at 3,475m. 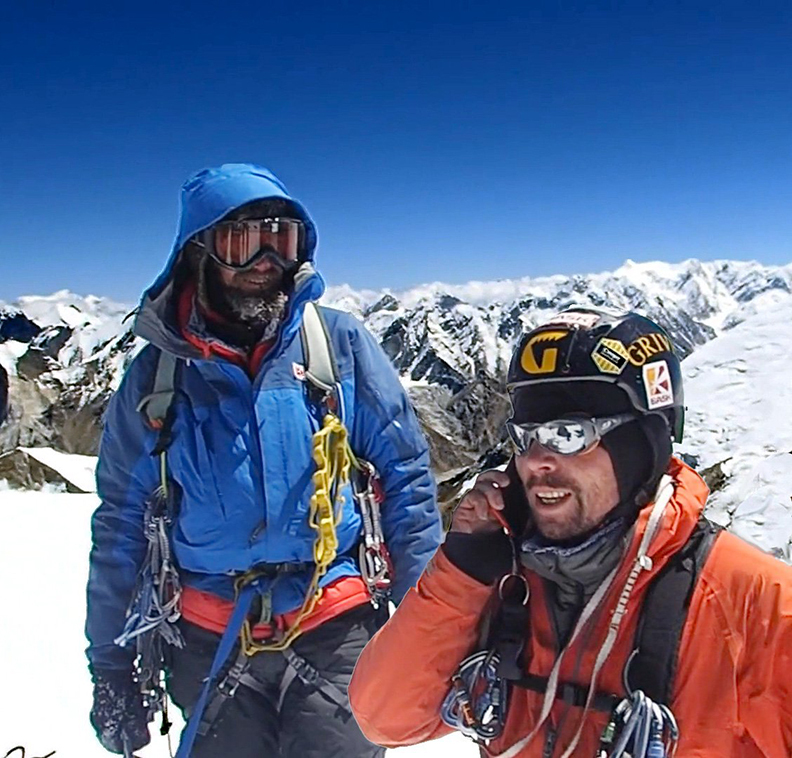 Although they didn’t summit, Nilov and Golovchenko made the first ascent of a prominent line, but missed out bagging their real prize, the headwall up the Southeast Face of Jannu.